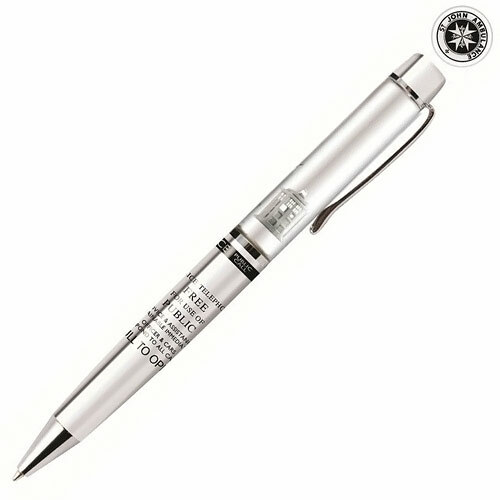 If you find yourself suddenly having to jot down a quick message before being swept away on a grand adventure, you can always use the Doctor Who 50th Anniversary Chrome TARDIS Floating Pen, which will reveal that you have class, style, a love for Doctor Who, and a very interesting life, because who (aside from a Time Lord) needs to be prepared for a last-minute adventure? 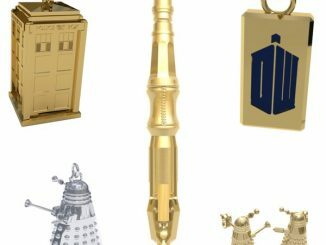 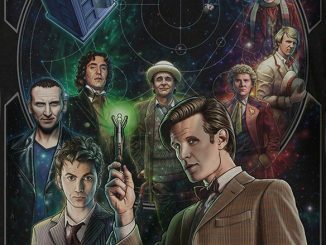 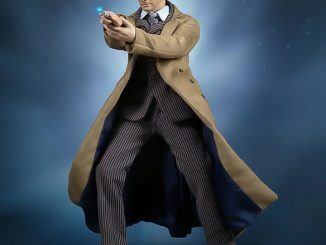 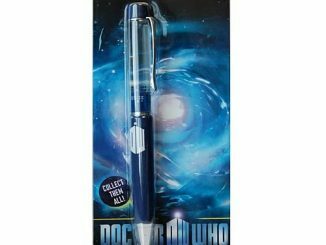 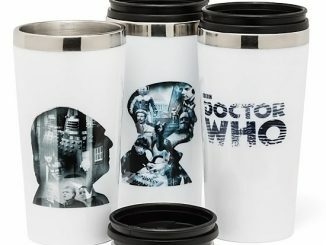 You might already have the original Doctor Who TARDIS Floating Pen, and you should be commended for that because it shows true Whovian devotion, but this 50th Anniversary writing utensil still deserves a spot in your Doctor Who collection because it celebrates the fact that everyone’s favorite madman in a box has reached the glorious half-century mark. 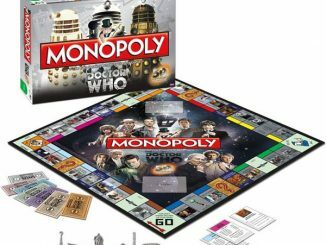 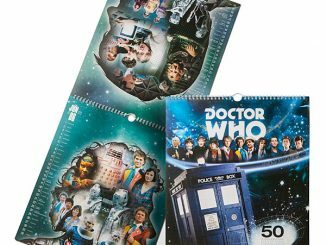 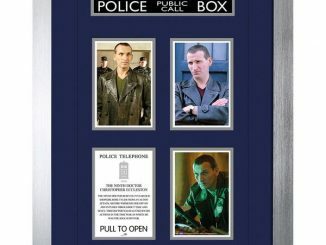 That might not seem like such a huge deal if you’re from Gallifrey but the people of Earth see it as a major milestone. 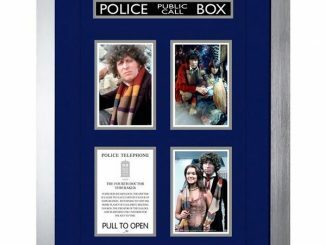 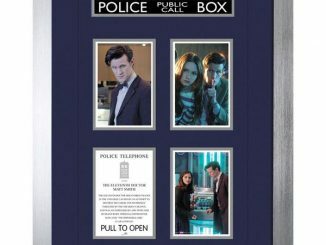 The pen features a floating TARDIS, the wording from the ‘Public Telephone’ sign, and the St John Ambulance logo, which recently reappeared on the door of the iconic blue box. 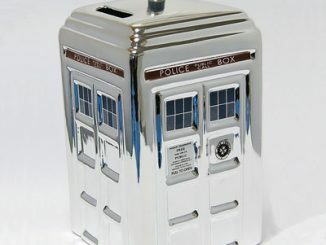 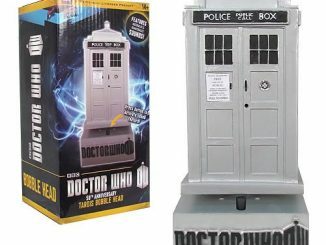 The Doctor Who 50th Anniversary Chrome TARDIS Floating Pen will be available in July 2013 but you can pre-order it now for $10.99 at Entertainment Earth.